As you know, most posting here on Earth Network . new has finished (still going strong on Twitter) – because the information seemed to be the same thing over and over and all of it sad and depressing. Certainly a very sad and depressing chore for your editor, dear Readers. 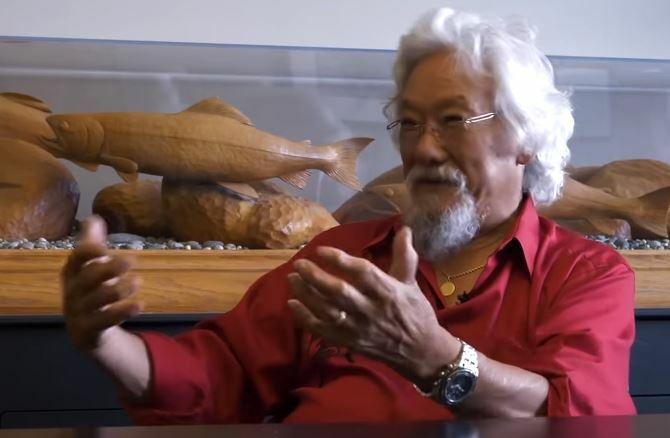 But this episode of Unstoppable with Kerwin Rae interviewing Dr. David Suzuki renewed my deep respect for the remarkable Suzuki. Not only that it gave me a glimmer of hope – maybe it will for you too.